Most of the graphics in this section are predominantly digitally printed which are more commonly known as partial wraps or full wraps. The graphics in this section start from as little as £150. 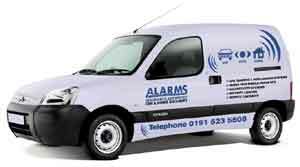 Call 07720 441664 now for a free quotation. Remember we quote up to 10pm 7 days a week. If you see a magnifying glass over a photograph click it to see more of that project. 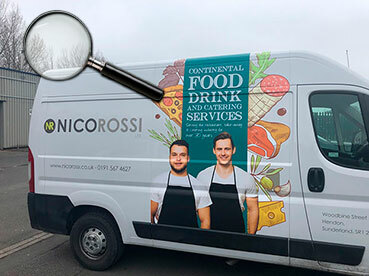 Nico Rossi are Sunderland's premier specialist food and drink wholesaler and they asked us to design, manufacture and install the graphics to their new fleet. Thanks for business Roger. 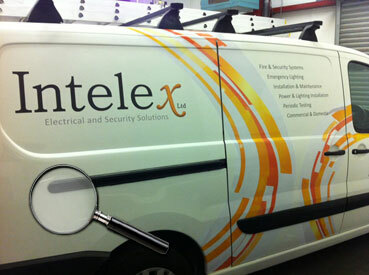 This is the third van we've done for Intelex in Sunderland. A quarter wrap with an innovative pattern and nicely designed logo makes this electrical firm look really professional. Thanks again for business Sam and Dave, very much appreciated. Click magnifying glass to see more of this project. 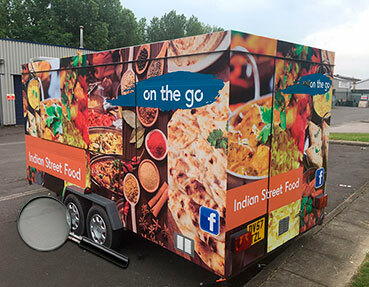 We were asked by the owners of Le Raaj Restaurant Sedgefield to undertake the project for their Indian Street Food On The Go Catering Trailer full wrap project. Designed, manufactured and installed in-house. Stunning! Need we say more! Thanks again for the business Rez, glad you love it. Click magnifying glass to see more of this project. 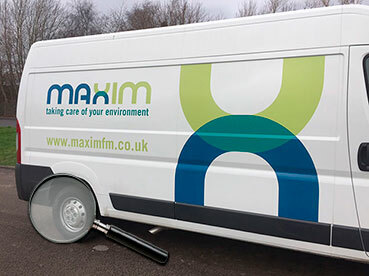 Maxim Fm are a local facilities management company servicing clients nationwide and they asked us to supply and install perfect colour match digitally printed graphics to their fleet of vehicles. Eyecatching, neat and tidy. Thanks for the business Michael, it was very much appreciated. Click magnifying glass to see more of this project. 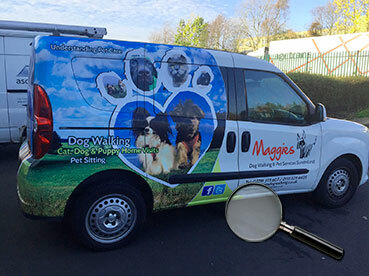 Maggies is a specialist all round pet care business based in Sunderland and they asked us to brand their Fiat Doblo. 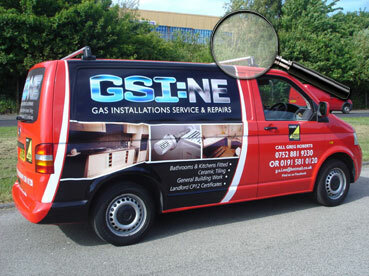 We designed, manufactured and implemented this half wrap which included contravision one way material to the rear window. Thanks for the business Samantha and very best of luck for the future. Click magnifying glass to see more of this project. 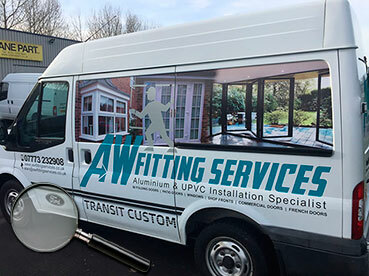 AW Fitting Services specialise in fitting aluminium and PVC doors, bi-folds and patio doors. 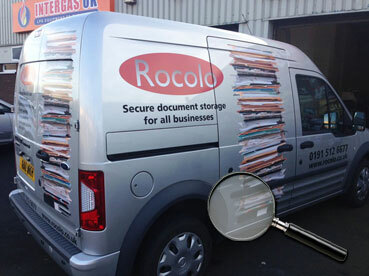 They asked us to spice up their van and we suggested a quarter wrap to keep costs down. Thanks for the business Alan and very best of luck for the future. Click magnifying glass to see more of this project. 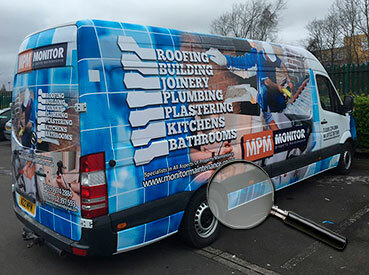 We were asked to spice this van up on a limited budget so we filled the panels with feathered images of a kitchen, bathroom and bedroom and added the rest of the information in cut vinyl. This would be the equivalent of a quarter wrap and makes a real difference. Thanks for the business Dave, much appreciated. Click magnifying glass to see more of this project. 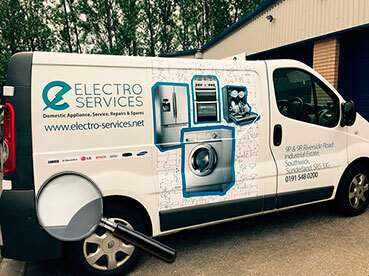 Electro Services repair and service electrical appliances and asked us to produce their vehicle graphics for both their Renault Traffic's. 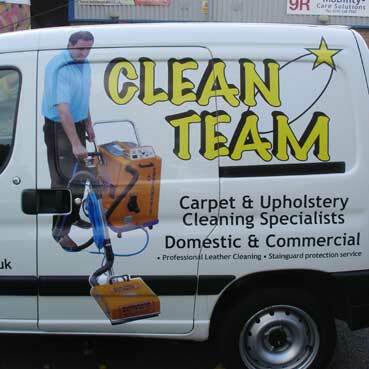 A mixture of digital graphics, photographs and cut vinyl makes this a lovely, clean and tidy job. Thanks for the business Dave and thank you for using a local sign company. Click magnifying glass to see more of this project. 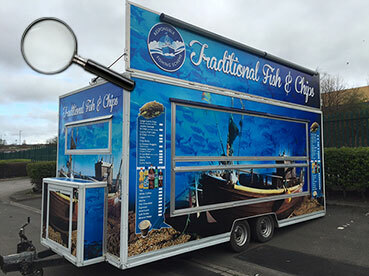 We were asked by Premier Catering to fully wrap their refurbished catering trailer in a seaside theme. As you can see the transformation is remarkable. Thanks for the business Barry and Mark, its very much appreciated. Click magnifying glass to see more of this project. We were asked by Westminster Bar & Restaurant in High Street to produce a set of graphics to promote their up and coming roof terrace. We came up with a digitally printed 1/4 wrap which mirrors a set of wallpaper graphics we completed inside the restaurant. Thanks for business Lee, much appreciated. Click magnifying glass to see more of this project. 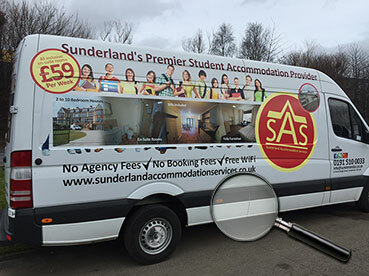 We were asked by Sunderland Accommodation Services on Bridge Street to produce half wraps on a varied range of vehicles from their fleet. 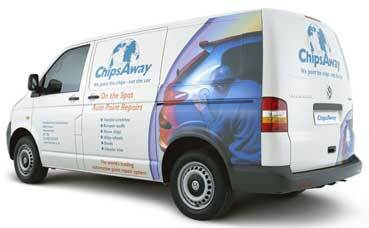 Large amounts of digitally printed graphics accompanied by cut vinyl graphics made these vehicles real head turners. Thanks for the business Colleen, it was very much appreciated. Click magnifying glass to see more of this project. This was one of two full wraps we were asked to to by Eight Estates who are based at the City Centre end of Durham Road, Sunderland. 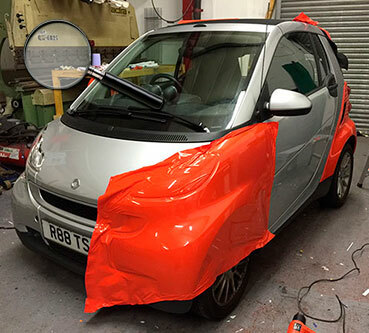 This Smart Car started off silver and ended up fire red with the addition of cut vinyl decoration. Thanks for the business Gary, Riki and BJ, very much appreciated as always. Click magnifying glass to see more of this project. 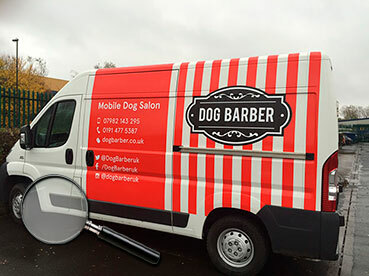 We were asked to produce some innovative cut vinyl and digitally printed half wrap style graphics for Dog Barber Mobile Dog Salon and the results speak for themselves. Very best of luck Tim and thanks again for the business. Click magnifying glass to see more of this project. 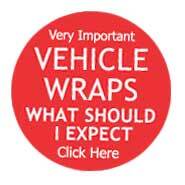 This is an example of an inbetween wrap, by that we mean between a 1/4 and a 1/2 wrap. 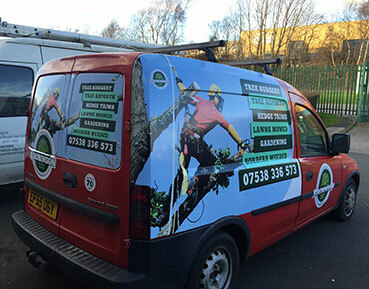 The project consisted of digitally printed panel fills with a mixture of digitally printed graphics and cut vinyl text to the rest of the van. 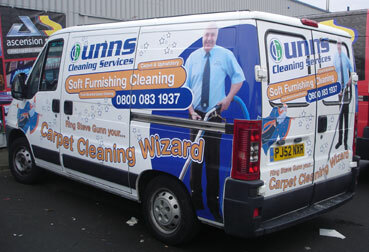 Oh and it passes the 3 second rule, 3 seconds to guess what the man driving the van does. Thanks for the business Richie, very much appreciated. 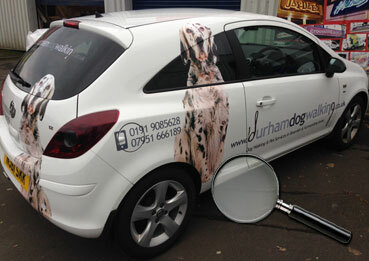 Click magnifying glass to see more of this project.This is a great little quarter wrap for Durham Dog Walking. 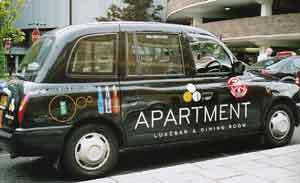 Consists of a mixture of traditional cut vinyl and digitally printed vinyl. Thanks for the business Helen and John and very best of luck with the new venture. Click magnifying glass to see more of this project. This is a lovely example of a quarter wrap. 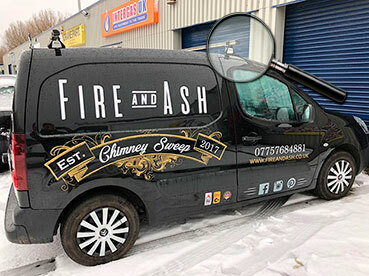 A mixture of creative digitally printed logos and images along with traditional cut vinyl lettering makes this van a lot less ordinary than it once was. Thanks for the business Vicki, very much appreciated. Click magnifying glass to see more of this project. They say a picture says a thousand words....so can you guess what Durham foods produce. 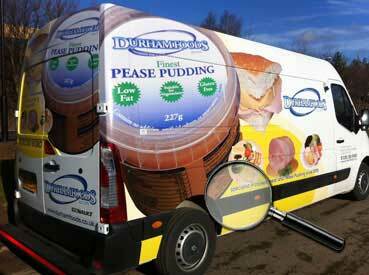 This long established very successful Pease Pudding and cooked meat manufacturer asked us to rebrand a brand new Renault Master and an older shaped Renault Master with a mixture of digitally printed product photos and contour cut logos and text. Absolute pleasure Alan. And in time honoured tradition and just for you...thanks for the business it is genuinely appreciated. Click magnifying glass to see more of this project. 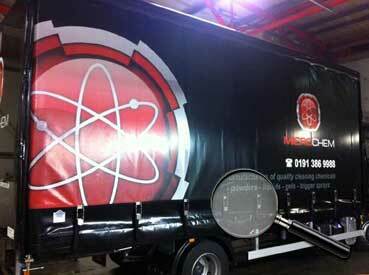 This is a really effective quarter wrap on a 7.5 tonne curtain sider for Microchem, a Durham based chemicals suppliers. 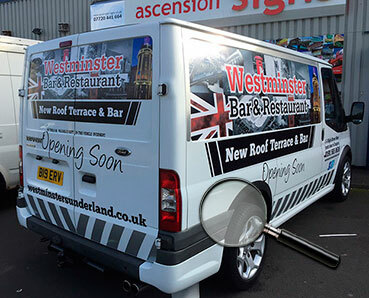 The project consisted of digitally printed Sign Flex material to both curtains with traditional cut vinyl to the cab and the back doors. You may think this is a standard set of graphics but you'll see very few curtain siders on the road with printed logos like these. 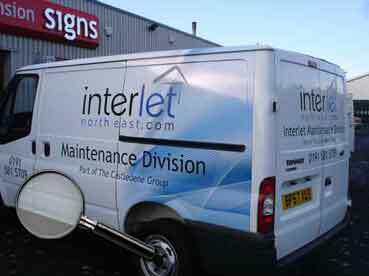 We are one of very few sign companies in the whole of the North of England who can undertake such a project. Thanks for the business Mike, it was very much appreciated. Click magnifying glass to see more of this project. 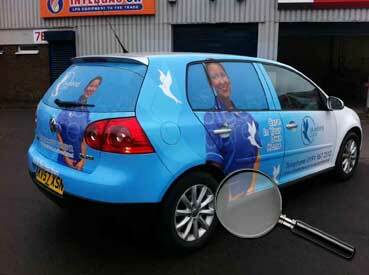 We were delighted to be asked by Bluebird Care Sunderland to fully wrap their silver VW Golf. The wrap transitioned perfectly from cyan to white along the sides, with the front being wrapped in a plain gloss white. The job was finished off using cut vinyl and one way vision material to the windows. Thanks for the business Stephen, very much appreciated. Click magnifying glass to see more of this project. 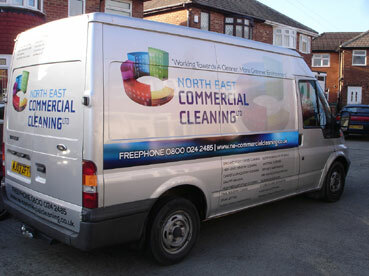 This is a great half wrap for a specialist outdoor cleaning company based in Sunderland. 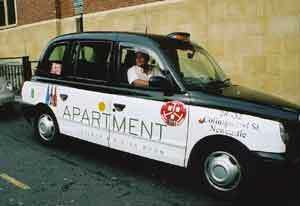 Job consisted of numerous digital images and cut vinyl graphics. Thanks very much for the business Paula and David, it was very much appreciated. Very best of luck in the future. Click magnifying glass to see more of this project. 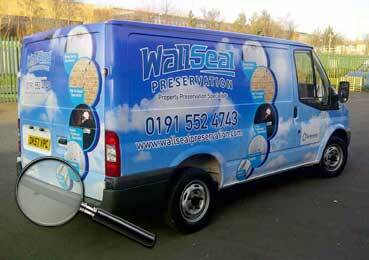 This is a fantastic full wrap for a Sunderland based preservation specialist in Sunderland. 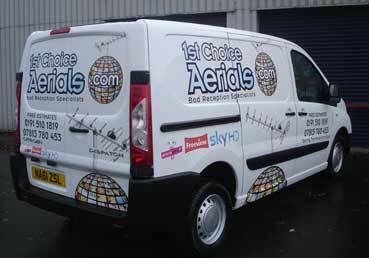 This white Transit was largely wrapped in a digital image of blue sky and clouds along with product images in circles and logos and text to finish. Thank you very much for the business David. Click magnifying glass to see more of this project. 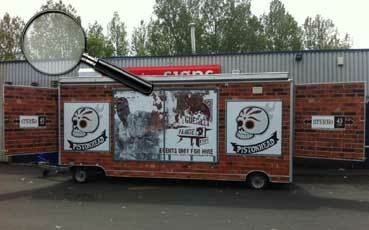 60 square metres of brick effect digitally printed vinyl completely transferred this rather worse for wear 21ft x 10ft trailer into an eyecatching portable stage. Because of the double sided nature of the panels and the fact that the stage pulls out at the back it officially made this the largest single wrap we've ever done. Thanks for the business Tony, very much appreciated. Click magnifying glass to see more of this project. We're delighted to show case a full wrap for NGU, a prestigious lettings and home sales agency in Low Fell, Gateshead. 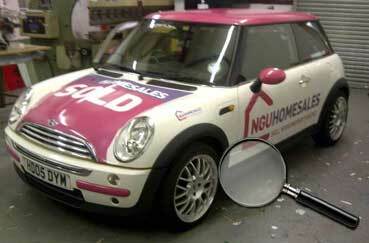 At first glance you'd be forgiven for thinking that this is just a cream coloured mini with pink graphics applied, however NGU Homesales wanted us to fully wrap their YELLOW vehicle to make it look like a standard Pepper White Mini Diesel. The transformation, we hope you agree, is very convincing. Thanks for the business David, it was very much appreciated. Click magnifying glass to see more of this project. We hope you agree that this is a stunning transformation from a plain boring white Berlingo to a zingy full orange wrapped Berlingo. Thanks for the business Ali and Mandy, greatly appreciated. 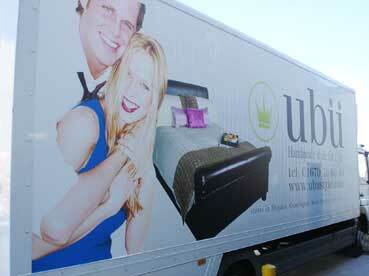 Well, this is officially the largest full wrap we've ever undertaken. 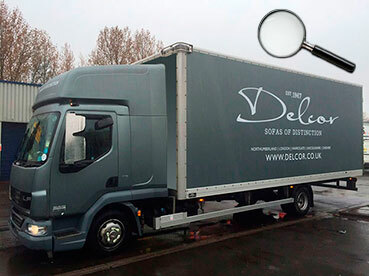 The longest wheel base and highest roof that Iveco do and we wrapped it all with digital prints of fast food for Debs Diner, the second project for this client within the last few months. As you can see the results were stunning. Thanks again for the business Deb and Tom, it was very much appreciated. Wow, what an amazing transformation. 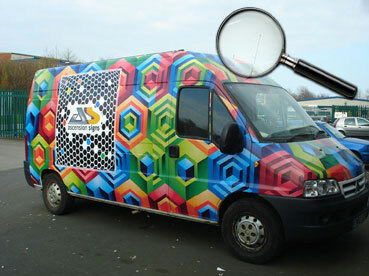 In this full wrap of a transporter transit we've effectively changed the colour from red to a chequered 3D pattern. Thanks for the business again Darren, as always it was very much appreciated. 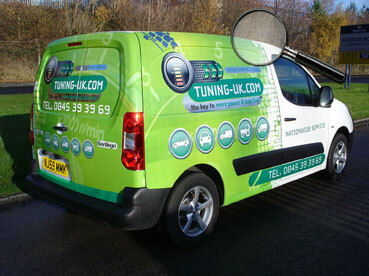 A brilliant half wrap for a vehicle tuning company in Cramlington. a mixture of digitally printed graphics along with some super effective reflective vinyl made this project a real head turner. Thanks for the business Alyn, very much appreciated. 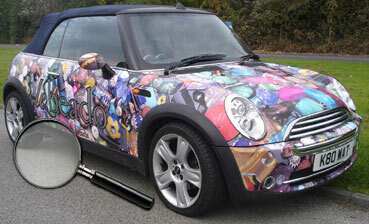 An amazing half wrap on a brand new Mini Cooper Clubman. 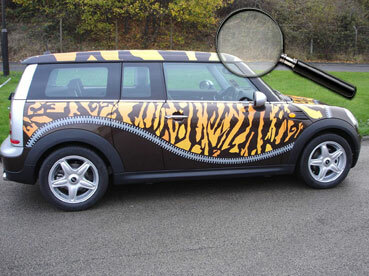 We were asked by a private owner to decorate their car with a tiger print and zip effect pattern - for no other reason than she loved the idea. Thanks for the business Angie and enjoy the attention. A very simple and rarely used layout but none the less very effective. Thanks again for the business Dan.......from Baskeys if you hadn't already guessed tee hee. A lovely little project for a fantastic local photographer. We arranged some of her best and favourite work into a collage on both sides. Thanks for the business Claire and best of luck for the future. A beautiful and dare we say fantastic example of a half wrap to a Transit Connect. 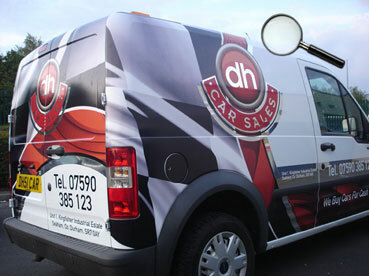 A mixture of digitally printed chequered pattern, red abstract image and mirror chrome vinyl made this project for DH Car Sales extra special. Thanks for the business Darren, it was very much appreciated. What a transformation! 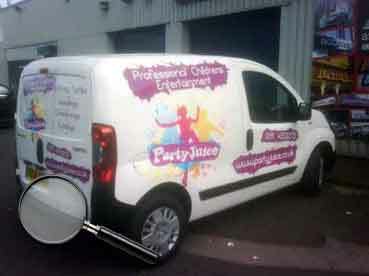 We were asked to do something that was a real eyecatcher and helped sell sweets. We certainly think we've achieved what we set out to do. 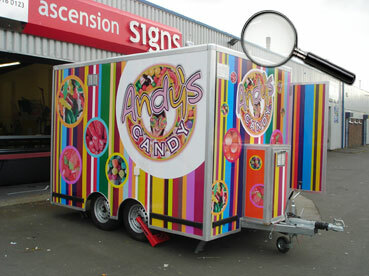 The trailer was wrapped in digitally printed candy stripes which inturn were then decorated with images of sweets and topped off with a fantastic logo, which incidently we designed. The trailer was filled with sweets the whole time and as I'm a portly chap and have a sweet tooth, it took a great deal of will power not to sneak one or two. OK, I had a bag of Jelly Babies but did leave a pound coin. Thanks Andy, your business was very much appreciated.Oh and some pineapple chunks, it was just like being 10 again. Click the pic below to see more. WOW! How fantastic is this - just take a look at the before, during and after shots of this full digital print wrap of a rust coloured Renault Megane for a new recruitment company based on Tyneside. 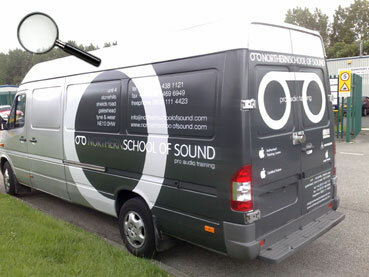 Complete with contravision on the rear windows (they can see out but you can't see in). This is an absolute stunner. Thanks for the business Aaron and good luck for the future. Click the picture of theQ7 below to see much more. Its not every day you're asked to wrap a £50,000 car, but our clients spend there advertising budgets more diversly these days and sure know how to turn heads. Every single inch of this monster was wrapped. Truly amazing!!! 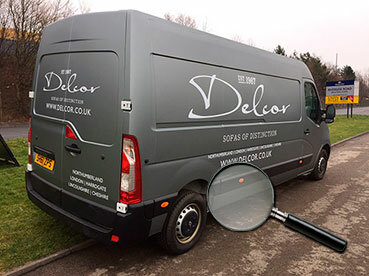 Click the picture of the mini below and check out the full range of photographs from one of three vehicles we wrapped for this very exclusive bead shop, based in Durham, Newcastle and soon to be Nationwide. The car's original paintwork was a copper colour and now look at it. How amazing!! 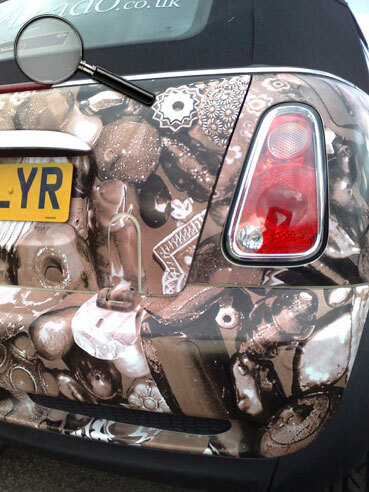 Click the picture of the mini below and check out the full range of photographs from one of three vehicles we wrapped for this very exclusive bead shop, based in Durham. This time a sepia effect of the same image as shown on the mini above. 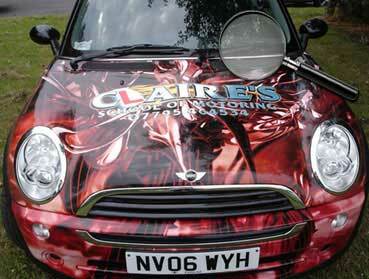 Click the picture of the mini below and check out the full range of photographs of this stunning full wrap. 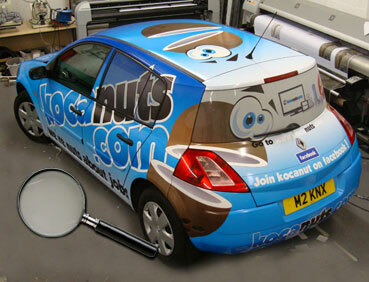 A wrap is a process where we completely change the colour of the vehicle to anything of your choice. 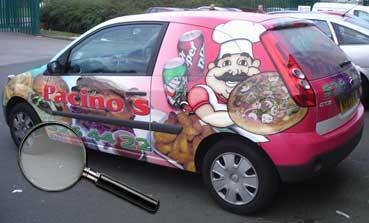 We print onto an amazing adhesive vinyl which stretches over the full surface of the vehicle. You can use photographs, abstract images, 3d shapes, infact anything that can be printed and all for less than the price of a small Yellow Pages ad. It will last at least 5 years and then can be easily taken off without leaving and damage to paint work, infact it will completely protect the paintwork which may add to it's trade in value. 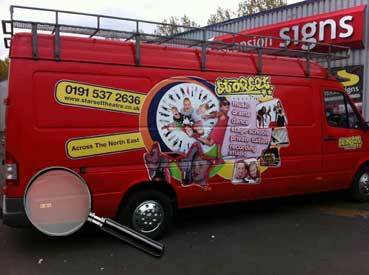 A great project for a Professional Childrens Entertainment company in South Shields. Thanks for the business Donna and Gemma, it was very much appreciated. Click the picture below to see this lovely digitally printed horse box project..
Below, a mixture of photographs and exact colour matched text and logos made this fleet of vehicles a real head turner. 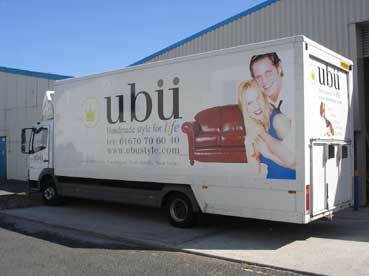 2 Mercedes lorries for UBU and 3 smaller vans for their parent company UTEC. 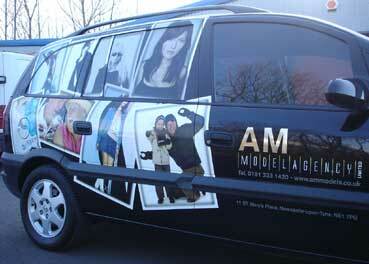 Below, a stunning half wrap for a Tyneside based model agency. 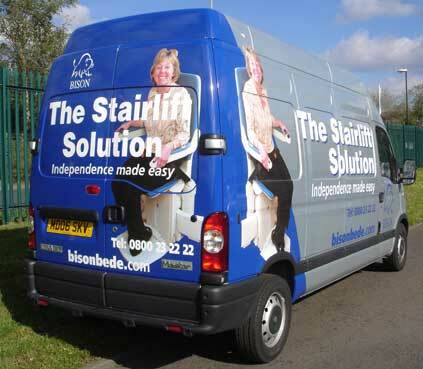 The brief being to utilise their previous advertising budget more effectively using full colour images of their models.We certainly did that, being able to guarantee the life span of the graphics for 7 years, yes 7 years. The quality of the photographs have to be seen to be believed. The photographs appear to be overlaid on top of each other - they are actually one image, printed on our own machine. Below, a very eyecatching mix of chromes and full colour photographs made this local Motorcycle Services business owner delighted. Price? A lot less than you're probably thinking. 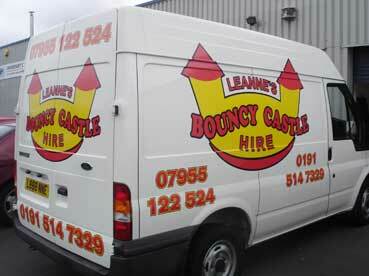 Call Steve now on 07720 441664 for an immediate quote. 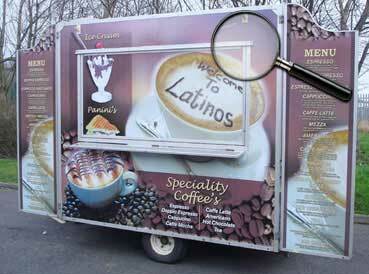 A perfect example of a vehicle with a mix of traditional computer cut lettering and photographs inserted in every panel. 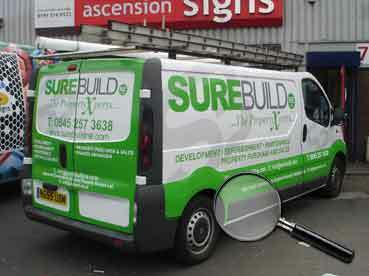 After all a picture does say a thousand words and this local building firm agrees! 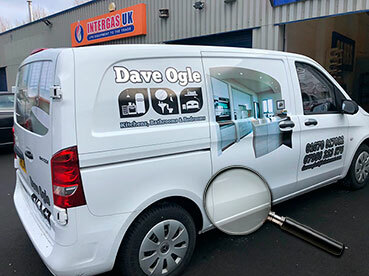 Directly below is an excellent example of a full colour vehicle wrap, no cut out lettering was used in this job, just large sheets of vinyl printed 4 colour process (CMYK) and then finished with a printed gold metallic finish. If we were to say that this vehicle wrap cost less than most of our clients Yellow Pages ads and that the graphics will easily last 4-5 years, would you be surprised. We would be biased wouldn't we, but we think potentially your best advertisement ever is probably sitting doing nothing right at this minute, rather than being your biggest and most effective lead generator. Give us a call now on 07720 441664 and let us transform the way you look and the way you do business. 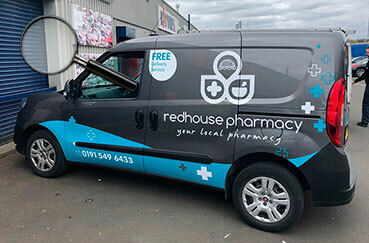 This is a lovely neat little job for Redhouse Pharmacy, all old school, all cut vinyl. Thanks Jaz. 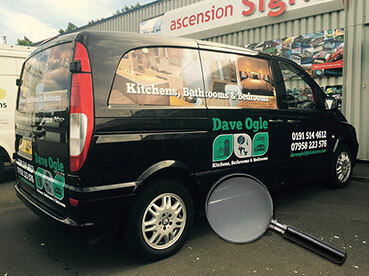 This is the second van we have completed for Dave Ogle Kitchens. This time a more subtle approach but with just the right amount of impact. Thanks again for business Dave. 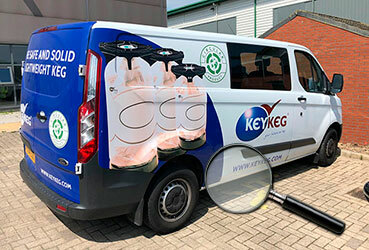 This is a neat little half wrap on a new shape Transit for a company who have invented an innovative new brewery product, however I have absolutely no idea what it does but van looks good. Thanks for the business James, much appreciated. 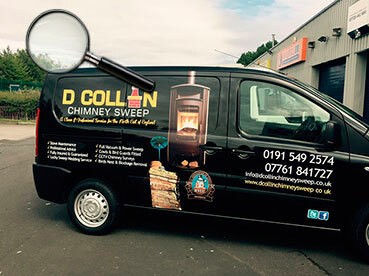 Click magnifying glass to see more of this project.Due to the surge in popularity of wood burning stoves Fire and Ash decided to bring the tradition of chimney sweeping back but were insistant on a traditional look with a nostalgic nod to the past. A mixture of mirror gold, matt gold, matt white and gloss white vinyl made this project a real eyecatcher. Thanks for the business Alex and the very best of luck for the future. Click magnifying glass to see more of this project. We love making customers happy, and this one was more than happy. 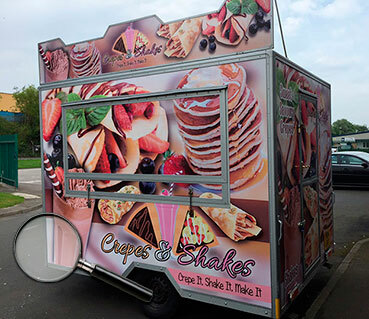 We fully wrapped an older style, dull looking catering trailer in digitally printed graphics and photographs for a Crepe and Milkshake business. Thanks for the business and good luck for the future Lorraine. Click magnifying glass to see more of this project. 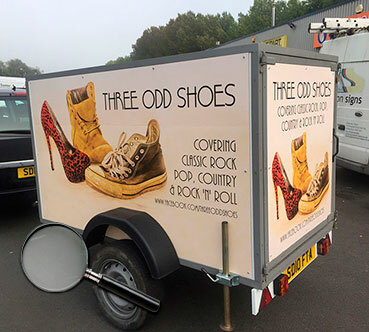 The Odd Shoes are a Washington based band and they needed an alternate way of advertising their group so we covered their instrument trailer in digitally printed aluminium panels. Fabulous. Thanks for the business Heather, much appreciated. Click magnifying glass to see more of this project. 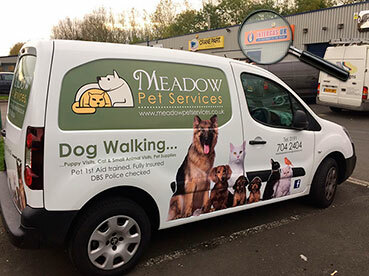 Meadow Pet Services asked us to create an eyecatching identity for their new business and we think we hit the spot. We like to produce graphics where within a few seconds someone could guess what they do without reading too much text. 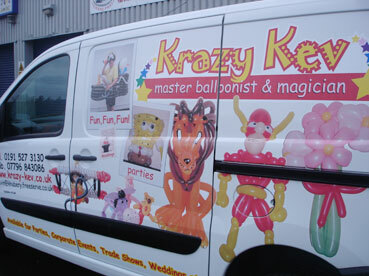 Thanks for the business Keith and very best of luck for the future. Click magnifying glass to see more of this project. 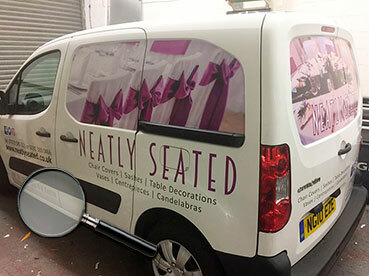 Neatly Seated specialise in making your wedding look extra special so they wanted a set of vehicle graphics that reflected that. 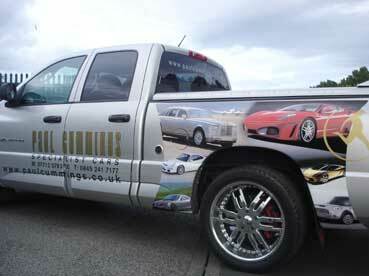 We were asked to produce a set of quarter wrap digitally printed graphics which would turn heads. 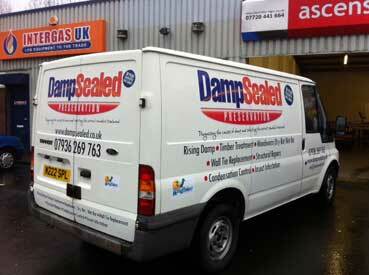 Really glad you love the van Diane and thanks very much for your help Andrew. Click magnifying glass to see more of this project. MPM are a property maintenance company in Tyneside and were tired of spending money on press advertising that was not working at all. We were asked to design something really eyecatching and colourful and then fully wrap their long wheel base Mercedes Sprinter in it. We were really happy with the end result and so was the client and all for the price of two weeks advertising in the Evening Chronicle. Thanks for the business Dave and best of luck for the future. Click magnifying glass to see more of this project. 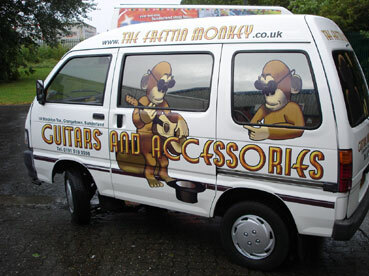 An old friend asked us to give his Ford Transit and in turn his business a bit of a face lift. 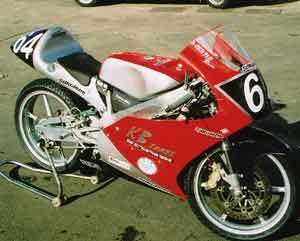 This set of graphics would fall somewhere between a quarter and a half wrap and consisted of digitally printed graphics and photographs and cut vinyl graphics. 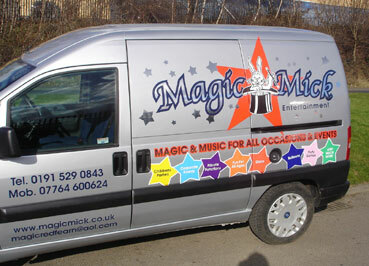 The van was transformed and looked like new at the end. Thanks again for the business Mark, very much appreciated. Click magnifying glass to see more of this project. 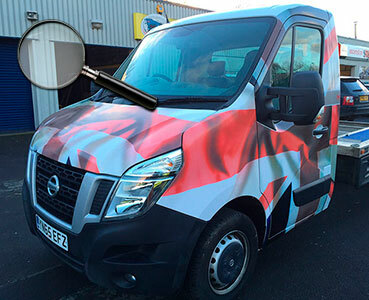 We were asked by Auto Transportation in Hartlepool to wrap the cab of their Nissan Transporter entirely in the Union Flag. A real eyecatcher. Thanks for the business Steve, much appreciated. Click magnifying glass to see more of this project. LM Valeting are one of very few valeting firms that are Auto Glym approved and they asked us to produce their new branding. 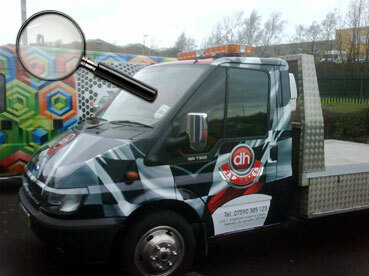 Job consisted of 3d effect logo, digitally printed images and cut vinyl graphics. Thanks for the business Lee and very best of luck in the future. Click magnifying glass to see more of this project. 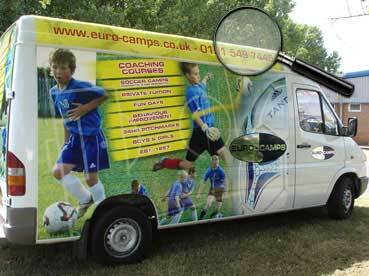 5 years ago we undertook a comprehensive graphics project for Baskeys. 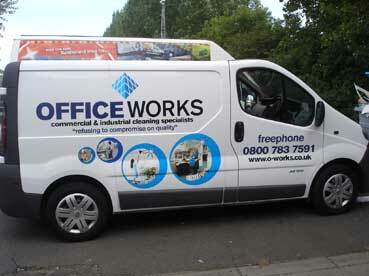 Now we've been asked to re-brand 6 more vehicles with a mixture of digitally printed graphics and cut vinyl graphics. Thanks again for the business Dan. Click magnifying glass to see more of this project. 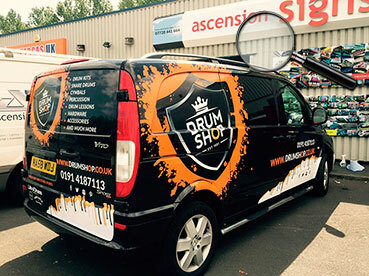 Drum Shop sell drums. Special drums. So they need special graphics. 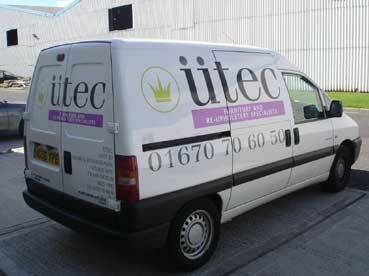 We were asked to produce this very innovative set of digitally printed and cut vinyl graphics onto a Mercedes Vito. Super complicated but well worth the effort. Thanks for the business Andy and couldn't have done it so well without you Gary. Click magnifying glass to see more of this project. Wood Burning stoves are hot, get it HOT ha ha so chimney sweeps are starting up again. We were asked by Dale to produce some aye catching affordable graphics and thats exactly what we did. Thanks for the business, much appreciated. Click magnifying glass to see more of this project. 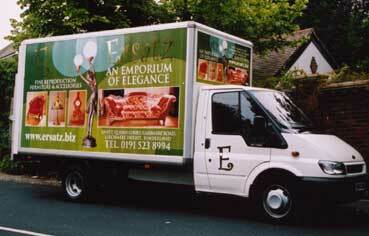 This was a standard white 7.5 tonne lorry and is now a real eyecatcher. Yes its simple in its appearance but the material used is a beautiful matt frost grey metallic which really has something about it when you are driving past it. Thanks again for the business Rick, business is very much appreciated as always. Click magnifying glass to see more of this project. I remember being on a bus just like this one. 25 years ago the no 5 from Sunderland Town Centre to Red House at 11 o clock on a Saturday night was always a little lively, any way what happened on the 5 stayed on the 5. 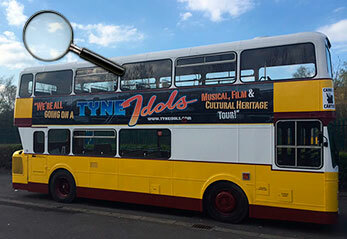 We were asked to partially wrap this restored double decker bus in 20 square metres of digitally printed vinyl in colours of Tyne Idols, a new tour company based on Tyneside. Thanks for the business Paul, it was very much appreciated. Click magnifying glass to see more of this project. 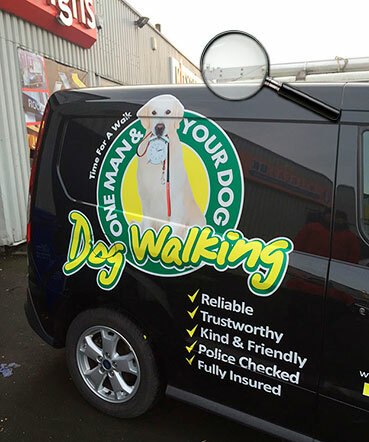 We were asked by One Man and Your Dog Dog Walking Services to produce a new logo and a quarter wrap onto their Ford Transit Connect. Eyecatching, easily read and straight to the point. Thanks for the business Phil and continued good luck. Click magnifying glass to see more of this project. This was one of two full wraps we were asked to to by Eight Estates who are based at the City Centre end of Durham Road, Sunderland. 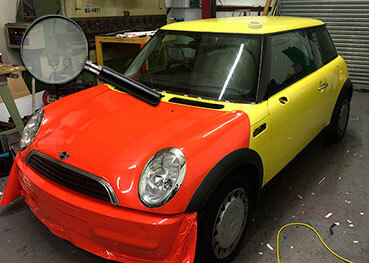 This mini started off canary yellow and ended up fire red with the addition of cut vinyl decoration. Thanks for the business Gary, Riki and BJ, very much appreciated as always. Click magnifying glass to see more of this project. Although not quite as easy to define as a half wrap or a full wrap this is what constitutes a complex quarter wrap. 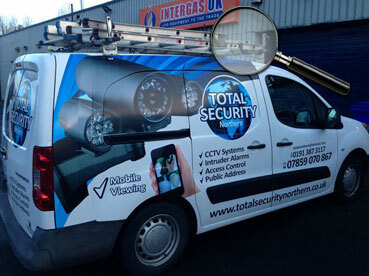 We were asked by Global Security to apply a whole new fresh image to one of their vehicles. 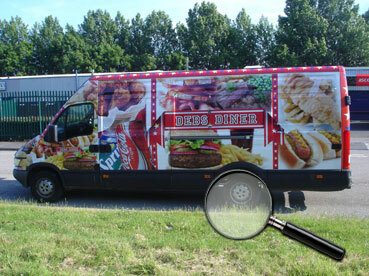 The brief being to inform people within seconds of seeing the van exactly what they do. This isn't always as easy as it sounds, but on this occasion we, and the client think we got it just right. Thanks for the business Dave, very much appreciated. Click magnifying glass to see more of this project. 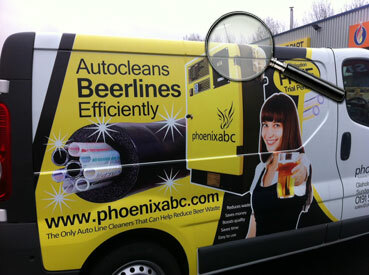 What a stunning half wrap.They say a picture says a thousand words so when Phoenix ABC, a local manufacturer of beer line cleaning equipment got in touch it took all of 30 seconds to know which way to go. Thanks for the business Richard and thanks for your help on the project David, very much appreciated. Click magnifying glass to see more of this project. 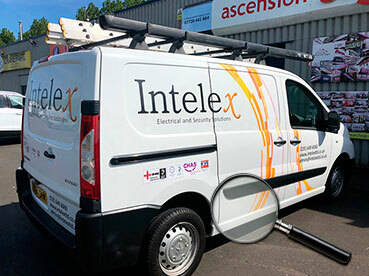 A local, ambitious electrical firm needed a facelift and we were asked to help rebrand their company vehicle. 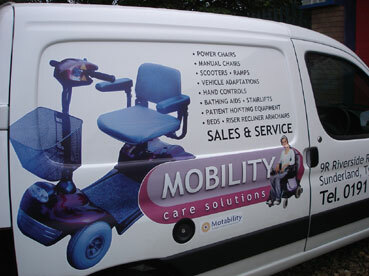 The Intelex project consisted of a mixture of digitally printed vinyl and cut vinyl. The end result was a very clean, dynamic and very professional image.Thanks for the business Sam and David and very best of luck for the future. Click magnifying glass to see more of this project. 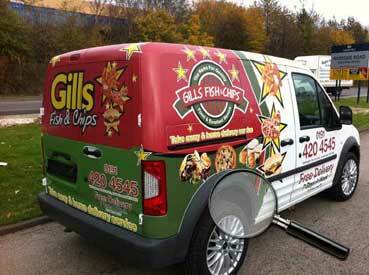 This is a stunning half wrap for Gills take away in Dunston. 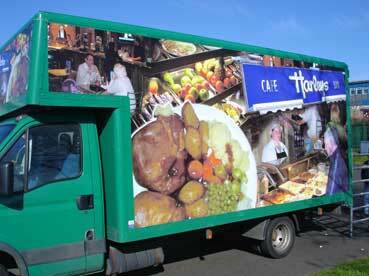 Digitally printed photographs and a complex background section made this a very eyecatching set of graphics. Thanks for the business Armajit, very much appreciated. 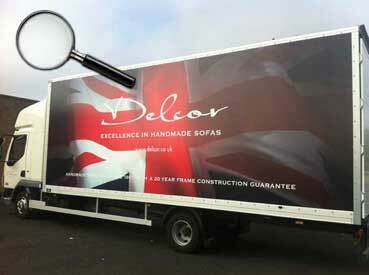 Following on from the smaller van wrap we were asked by Delcor to wrap the body of their 8 tonne 30 foot delivery truck in the same patriotic 3d union flag livery as. Thanks again for the business Rick. 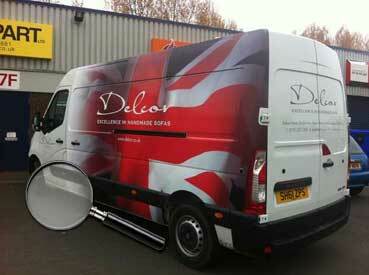 This is a stunning and proud patriotic three quarter wrap on a Renault Master for Delcor,a bespoke master furniture maker based in Seaton Delaval with stores nationwide. Thanks again for the business Rick, very much appreciated as always. This was a nice little quarter wrap for a Tree Surgery business. Thanks, Stephen, glad you liked it. This is a fun little quarter wrap for a local theatre school. Some very colourful images and a playful design certainly makes a statement. Thanks for the business Elissa and John, very much appreciated. 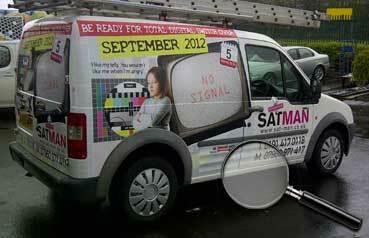 This is a fantastic half wrap on a Transit Connect for a local satellite and aerial installer, Sat Man. The project was to promote the analogue to digital TV switchover which we did using thought provoking and humorous images. Thanks for the business Paul, it was very much appreciated. 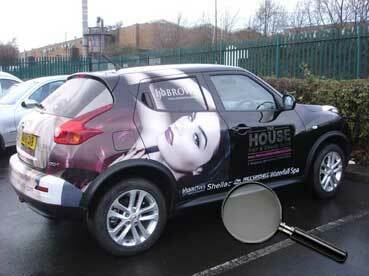 We're proud to present a fantastic half wrap on a Nissan Juke for The House Hair and Beauty Salon in Spennymoor. The extreme curved nature of this car made it quite a tough fit but I think you'll agree that the results made the effort very much worth while. Thanks once again for the business Brenda and Peter, it was very much appreciated. 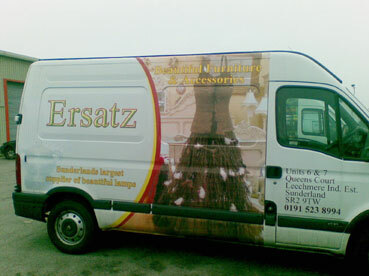 This is a stunning half wrap for a Sunderland based plumbing firm. Digitally printed water droplets, along with digitally printed photographs made this project a real eyecatcher. Thanks very much for the business Matt, it was much appreciated. 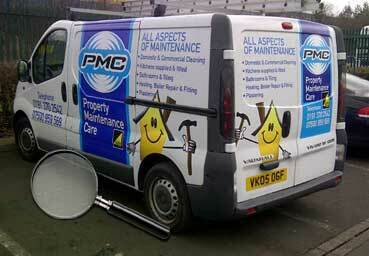 This is a great quarter wrap for PMC, a property maintenance company based in Chester-le-Street. 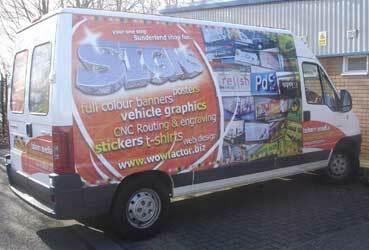 A mixture of digital print and traditional cut vinyl turned this 7 year old van into a real eye catcher. Thanks for the business Peter, very much appreciated. 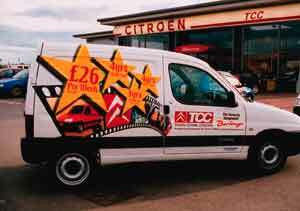 We were asked by Aidan at Chrome Property Maintenance to produce two sets of digitally printed, bespoke quarter wrap graphics for aVW Transporter and Citroen Relay. On the face of it you'd be forgiven for thinking they look quite straight forward, however they had to perfectly match the colours of a previously designed corporate identity and we are one of very few sign companies in the North East who can colour match such a project. Thanks for the business Aidan. Looking forward to working with you again. 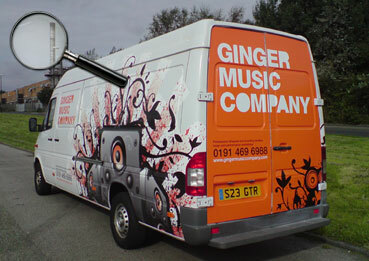 This is proof that cut vinyl graphics aren't dead and that you don't have to run with photographs to make a statement. Thanks for the business Paul, great to do business with you. 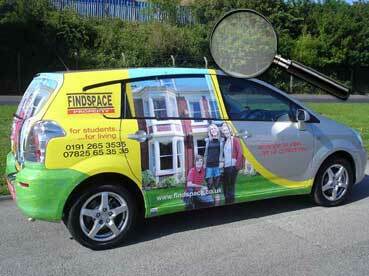 A lovely little half wrap for a Newcastle based letting agency. 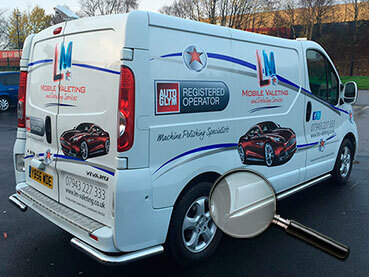 The project consisted of a digitally printed photograph to rear and a mixture of digitally printed logo and cut vinyl graphics to sides and bonnet. Thank you very much for the business Sally, it was very much appreciated. 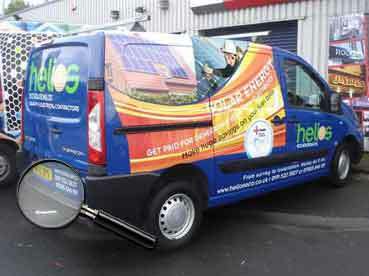 A lovely little half wrap for a Solar panel company in Sunderland. Thank you very much for the business Gerard, it was very much appreciated. 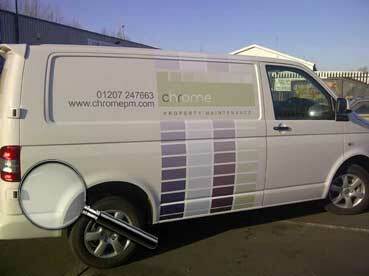 A stunning quarter wrap on four Ford Transit SWB for Castledene Property Management and Interlet. 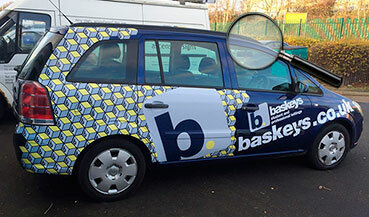 The project consisted of a bespoke abstract vector pattern overlaid with cut vinyl graphics. Clean, neat, corporate, professional. Thank you John Paul for the business, very much appreciated. 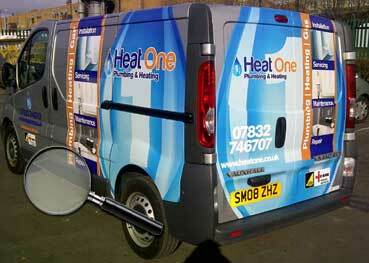 A fantastic half wrap for a local heating company. 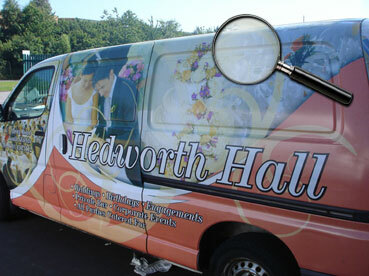 Digitally printed photographs and logo combined with super long lasting vinyl helped make this job truly outstanding. Thank you very much for the business Greg and Sophie. WHAT AN AMAZING TRANSFORMATION. Its a good job I needed to lose weight because Ican now thoroughly recommend wrapping a van like this as part of a calorie controlled diet. We completely wrapped this WHITE, yes WHITE Fiat Ducato in digitally printed solid black, cloth pattern and a stunning furniture prints. It was the toughest but most rewarding job we have ever done and was designed, printed and fit in-house without the use of any third parties. Thanks for the business Rick and I'm delighted you were delighted. 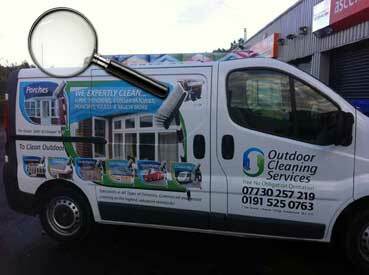 A fantastic little quarter wrap for a Sunderland window cleaning contractor. Consists of digitally printed water droplets to rear, overlayed with digitally printed and contour cut logo. Thanks for the business Dennis, it was very much appreciated. Wow, what an amzing transformation. 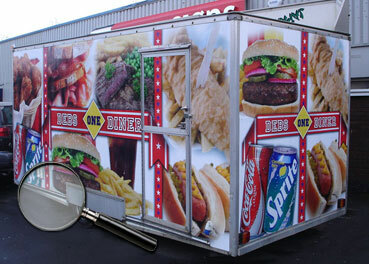 We fully wrapped this 10 year old catering trailer in various images of fast food and guaranteed it to be a real head turner when placed next to other ordinary looking trailers. Thanks Deb and Tom, your business was very much appreciated. 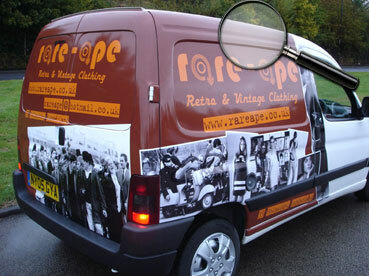 A fantastic half wrap for a retro clothes shop in Holmside Sunderland City Centre. The project comprised of a perfectly matched brown covered with black and white digital stills from the Quadrophenia movie and other associated 1960's images. 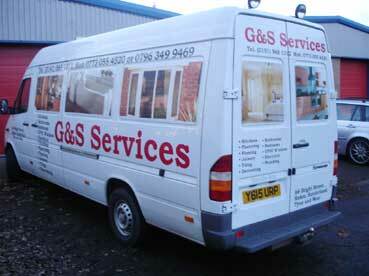 Thanks for the business Gareth, it was very much appreciated. 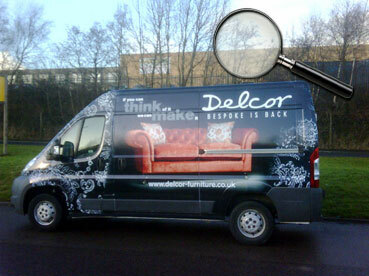 A lovely project for a furniture retailer in Hexham. 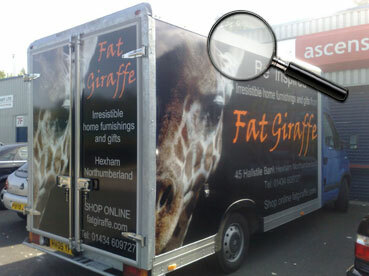 We were asked to wrap the box part of the van, changing it from blue to black and add huge photographs of a giraffe and text. Thanks for the business Ted. We are delighted to share with you a lovely half wrap for Lady Cup Cake. 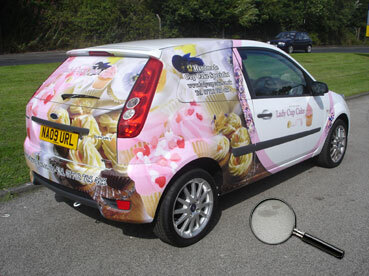 We took a range of professionally taken cake images, blended them and fit it to this Fiesta van perfectly. Thanks Barbara and very best of luck for the future. WOW! 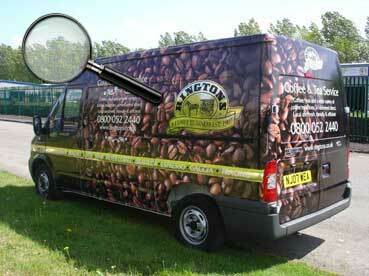 You should have seen this Toyota van before we started, an old R reg with iffy paintwork and covered in rust. The idea was to use this vehicle as a parked up advert for the clients function suites - it was more cost effective to wrap it than to continuously advertise in local press.We hope you agree that the transformation was amazing. Thanks for the business Tony. 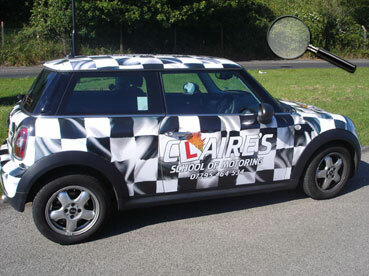 We're delighted to showcase a full wrap for Claires School of Motoring in Hartlepool. 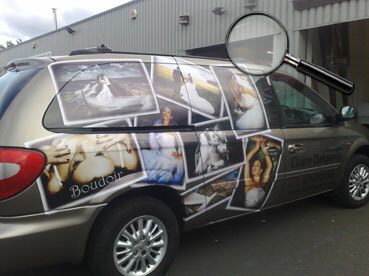 This is the second car we've wrapped for Claire in recent years - you'll see the first lower down on this page. This time she went for a full chequered pattern wrap which I hope you'll agree was a stunning transformation. Thanks again Claire and good luck for the future.
.'s always nice to get clients coming back, especially when it's one of the longest established businesses in the North East. 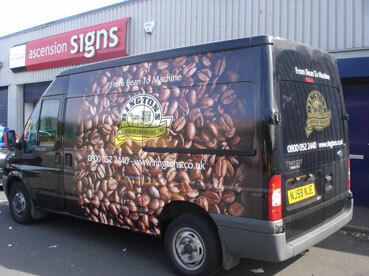 It was a priviledge to undertake this partial wrap for Ringtons. 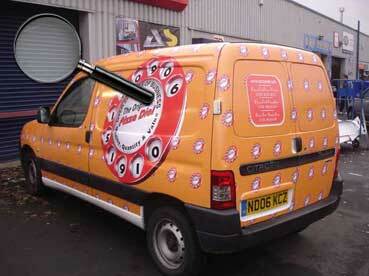 You can see a more close up view of a full Ringtons van wrap we completed last year by scrolling down this page. 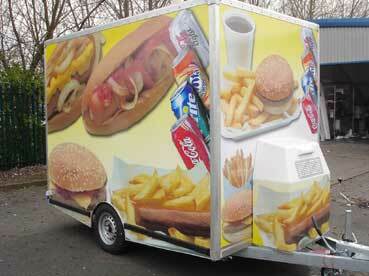 This is what we call a half wrap and was for Jonathan Dodds Arenas. 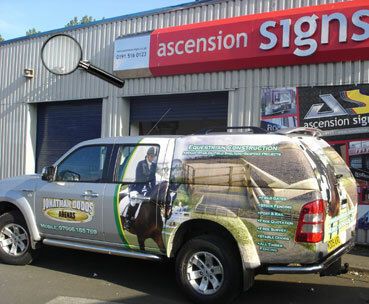 We carefully blended images of a horse rider with images of previous arena jobs he'd undertaken, we then mixed it with contravision material to the windows to create images that don't allow you to see in the vehicle but allow you to see out perfectly. We hope you agree the transformation was outstanding. Thanks for the business Jonathan, it was very much appreciated. 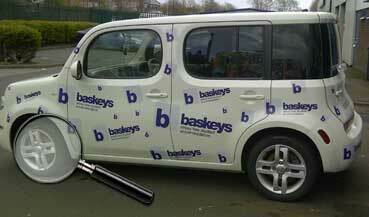 We were delighted to be asked by Iceland to wrap one of their fleet. We were asked because their previous partners were finding it difficult to keep up the quality. 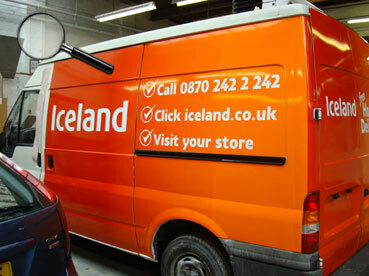 If you see a bad Iceland van out there then it certainly wasn't us who did it. Meet our close personal friends Mr Rod Stewart and Mr Michael Buble. Only joking. 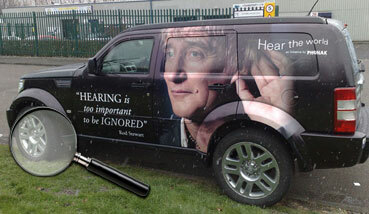 We were asked to half wrap a Dodge Nitro by an international hearing care company, Phonak for one of their local Hearing Care Centres. It doesn't show up very well on our photographs but the whole of each side and the rear were completely wrapped using images fading into black. 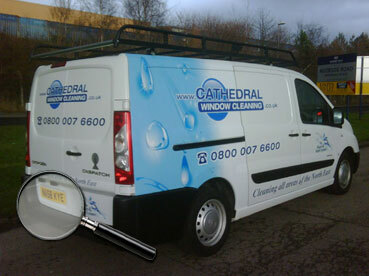 The project was finished off using contravision to the windows and sign vinyl to the doors and boot. Thanks Gary Rod and Michael, your business was very much appreciated. Click the pic below to see more. WOW! 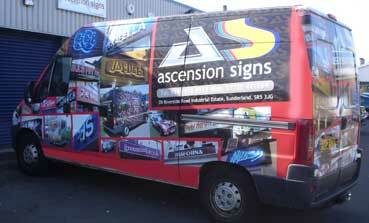 How fantastic is this.One of three partial wraps recently completed on long wheel base Mercedes Sprinter vans. On this occasion the artwork was supplied to us by a top Newcastle design house 'Drummond' and we set to work covering the front and rear in a vivid orange and the sides in an eye popping abstract scheme. Thanks again for the business Dee and Christine and best of luck for the future. And in answer to your question...yes we do practice what we preach. 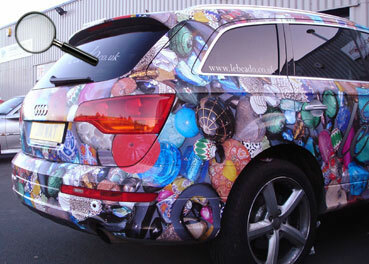 Click the pic below to see our very own psychadelic full wrap. 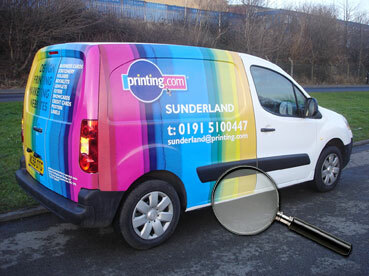 A lovely little half wrap for a Printing.com franchisee in Sunderland, Maskerade Print and Design. Thanks for the business Stuart, it was very much appreciated. Click the pic below to see more.This is what we call a half wrap. 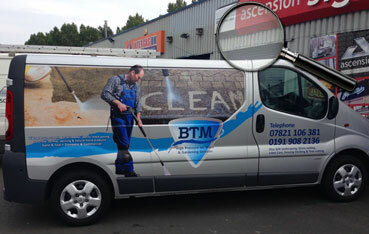 Tom from Smart Window Cleaning asked for an eyepopping set of graphics to get his new business off with a bang and we certainly delivered. All digital prints here, no vinyl lettering. Thanks Tom and good luck for the future. Click the picture below to see more.A fun little project for a fun idea. 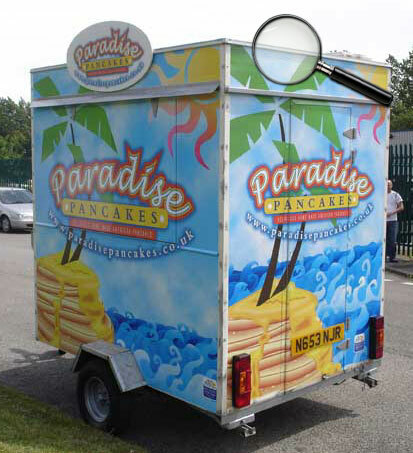 We were asked to wrap an ageing trailer with illustrations which formed a desert island theme but using pancakes as the island. Turned out absolutely beautifully. Thanks Anna and Leah and good luck for the future. Click the picture below to see more. 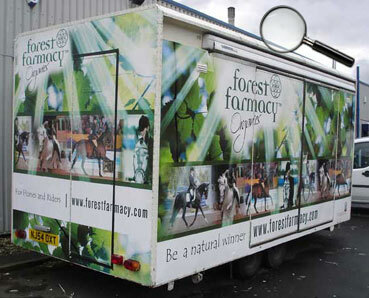 A stunning wrap on a 20ft x 8ft trailer for Forest Farmacy organics. The trailer being over 20 years old and was in need of a severe make-over and we were asked to do it. A mammoth undertaking all round, the artwork, volume of print and marathon fitting sessions made this trailer one of the most testing so far, but we hope you agree that the outcome was outstanding. Click the picture below to see more.A fantastic alternative to a full wrap but with the same head turning qualities. 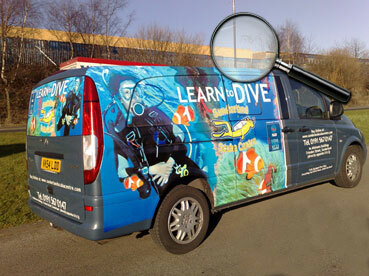 The brief was to sum up Sunderland's only premier 5 star diving centre by using eyecatching digitally printed photographs and graphics on their Mercedes Vito. We think we pulled it off in dramatic style. We are intensley proud to have been chosen by one of the North East's longest established companies, Ringtons, to produce a truly astounding vehicle wrap to mark their centenary celebrations. 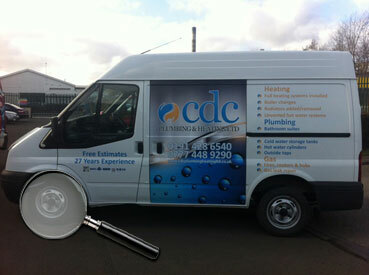 Click the picture below and check out the before shots you'll notice the van started off white, yes white. 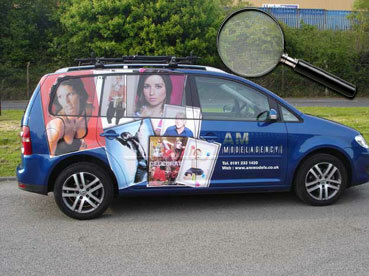 Two years on more or less to the day, our client AM Models came back to us to partially wrap their new VW Touran. I think you'll agree, very, very eyecatching. Note the clever use of contravision on the windows which allows a 90% perfect view from inside to out but nil view from outside to in - got to be seen to believed. 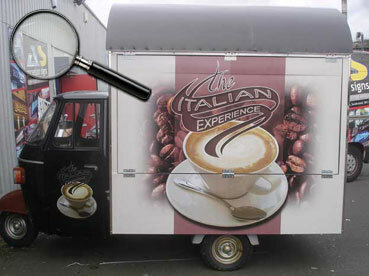 You are looking at a stunning conversion of a 30 year old Piaggio Trike Pick-Up to a beautiful little mobile coffee business. 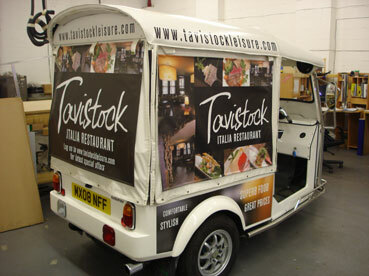 We built the frame, panelled it out and then capped it off with a fantastic wrap. All ready for the funky little coffee machine. 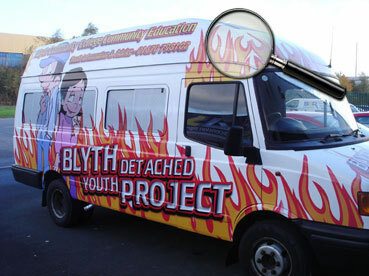 Click the picture below to see this astonishing transformation of a commun ity bus for Blyth College, where every inch was wrapped with digitally printed vinyl. 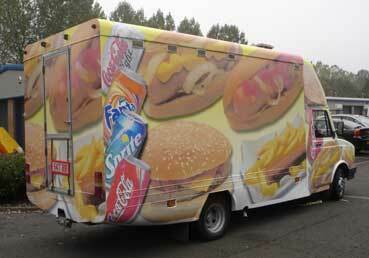 Click the picture below to see our latest wrap project for a local fast food outlet. Click the picture below. 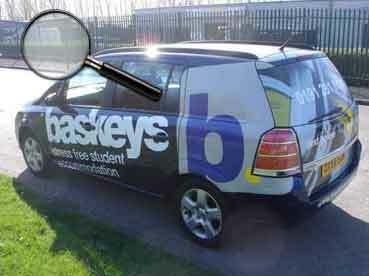 We are delighted to showcase a half car wrap project for a nationwide chain of student accommodation specialists. 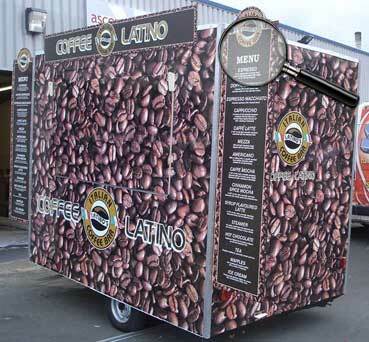 Click the picture below to see the full range of photo's from this stunning coffee trailer wrap. Wow, wow, wow, wow!!! 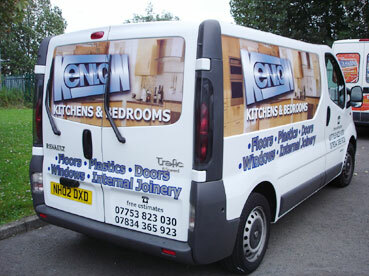 A lovely mix of photographs and supercast vinyl made this fleet of vans a real head turner. The rear of the van hasn't been painted, believe it or not every inch was painstakingly covered in blue vinyl which is pushed, teased and heated into all the vans recesses. Very complicated but still less than half the price of our nearest competitor, ask the client if you don't believe us. 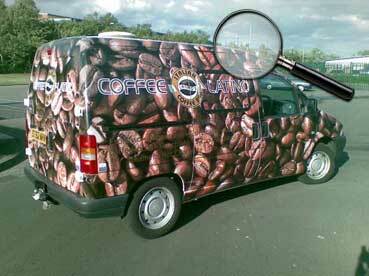 Click the picture below to see the full range of photo's from this stunning coffeevan wrap. Started off white and we turned it brown! 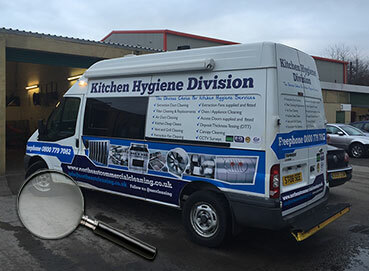 Below, sub contracted by another sign company in the South West to apply full colour graphics onto a North East franchisees van (we call it a quarter wrap). They had extreme difficulty in finding someone competent enough in this area to complete the job to perfection. An exact same library shot is shown as it was dark when we completed the job and couldn't take a photo. 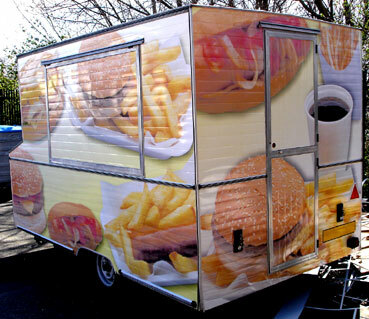 Below, an amazing example of two full wraps on a brand new catering trailer and mobile burger van, using purely photographs. After all a picture does say a thousand words.The price? A lot less than you're thinking. 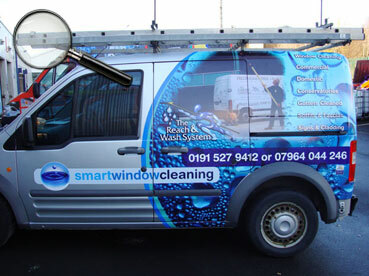 Call now for a no obligation quote on 07720 441664 - and remember our artwork service is free.